A rosé slushie is a must in summertime. I say rosé slushie, you say frosé. Whatever you call them, wine slushies are summertime perfection. Rosé is not my typical wine order. In fact, I’m not a fan. 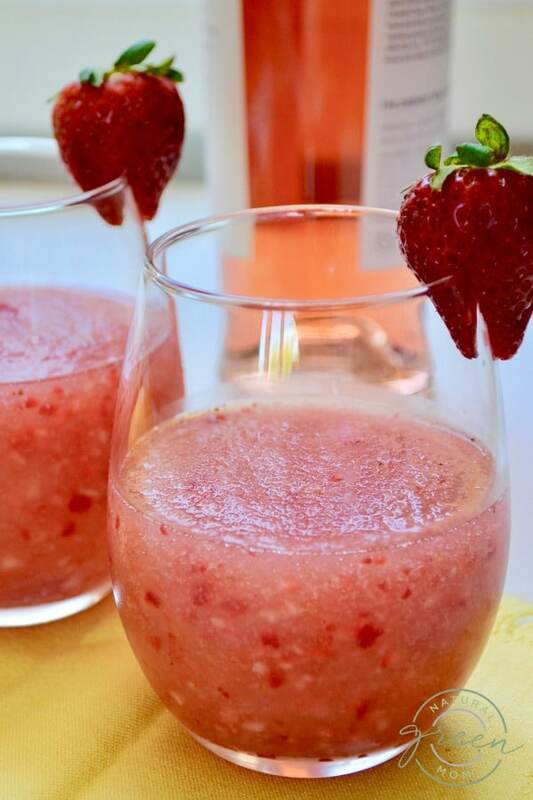 However, when it comes to a wine slushie, the light taste of a dry rosé is just right for a frozen drink. Since I don’t drink a lot of rosé, I don’t have a specific wine recommendation. However, I do have 2 great companies I like to order wine from. The first is Dry Farm Wines. Perfect for low carb, low sugar, paleo diets. The second online resource I’d recommend is Scout and Cellar. They term it “clean” wine. Small vineyards. Organic. Handmade. No chemicals. Check it out! While I don’t have a specific wine to recommend, I have to tell you that a whiskey ice cube tray is probably the most perfect kitchen tool for this recipe. One bottle of wine fits perfectly in this ice cube tray. Freezing it in the ice cube tray also offers you the flexibility to make one drink or to make several. Drinking alone? 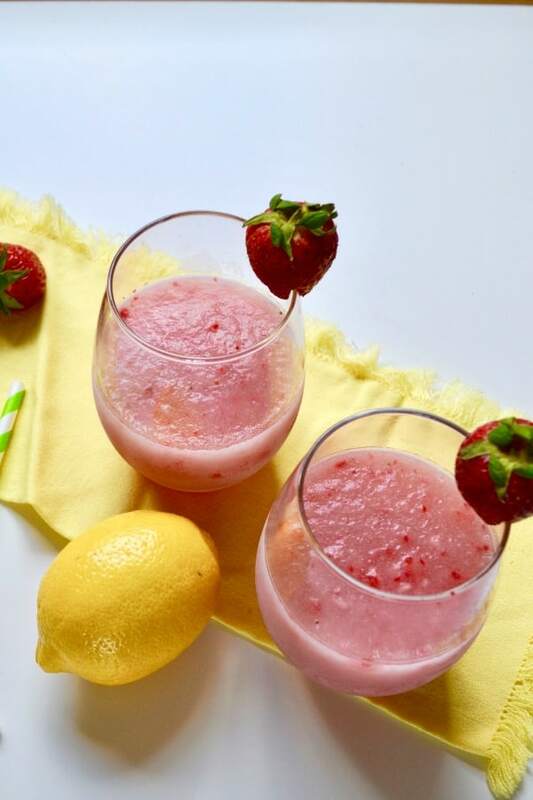 Simply blend two of the ice cubes with a shot of limoncello, a few strawberries and a dash of sugar. Some nights you just need a little treat. No shame in that game. I’ve done quite a bit of experimentation perfecting my wine slushies. What can I say? It was tough work, but I managed to do it! My sticking point was sugar. Sugar is my nemesis and I avoid it whenever possible. I tried making this recipe several times with no sweetener at all. Bleech. Then I tried adding a honey lemon simple syrup. In the end, the decision was made to add a bit of sweetener to the strawberries, thereby adding a bit of sweetness to this drink. If you also avoid sugar, try the drink without it. 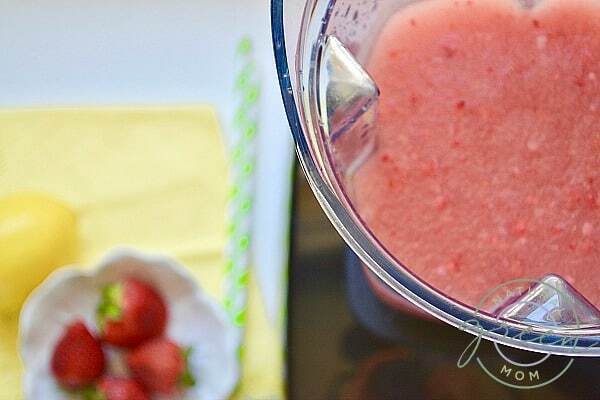 You can always add the ingredients back to the blender, add sugar, and re-blend. 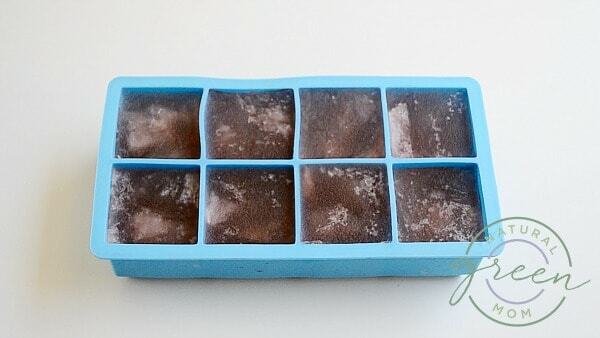 Pour entire bottle of Rose into an ice cube tray. Freeze at least 6 hours. 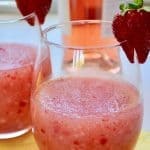 Add frozen Rose to a blender. Add limoncello, strawberries and sweetener. Blend until slushie consistency. 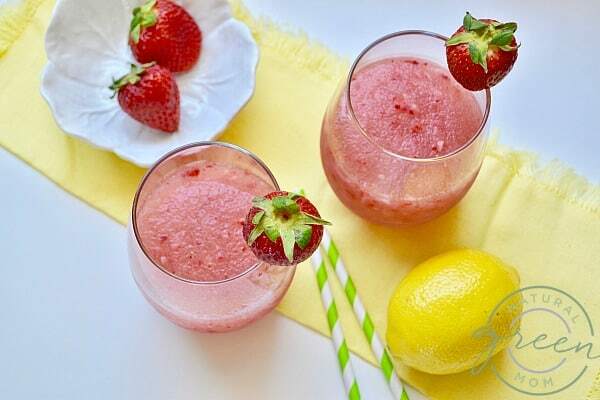 Serve garnished with fresh strawberry. Can’t see the rosé slushie video? Click here. Now I need to come clean. I’m not much of a frou-frou drink kinda gal. But dang. In the heat? Nothing beats the taste of a frosé. Try it and tell me you don’t like it!